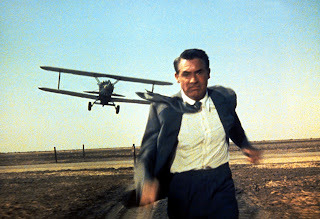 A masterpiece of thrills stemming from unexpected espionage, North By Northwest invented the template for the modern secret agent movie, Alfred Hitchcock creating the trail that James Bond, Jack Ryan, and Jason Bourne would gallivant along for many decades to come. 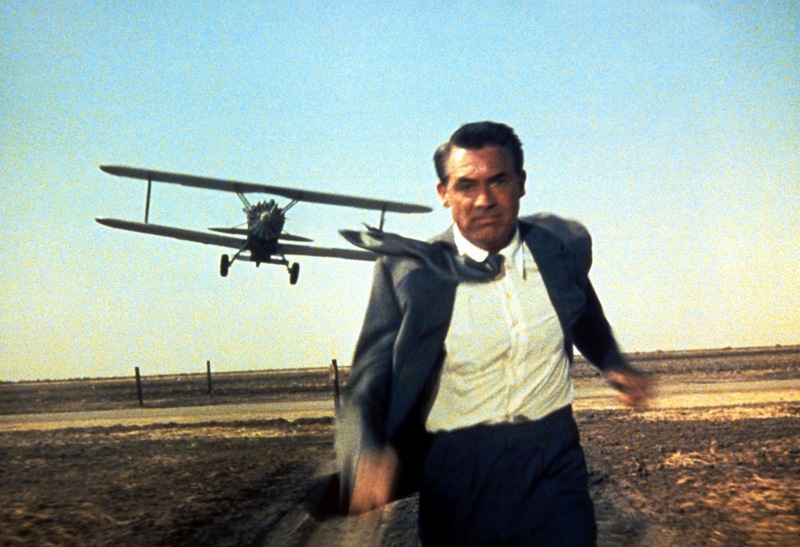 Except that in North By Northwest, Hitchcock's masterstroke is the void in place of central spy George Kaplan, his existence in itself an act of subterfuge. Innocent bystander Roger Thornhill (Cary Grant) is mistakenly identified as Kaplan, and has to simultaneously figure out his predicament while ironically fulfilling Kaplan's mission. 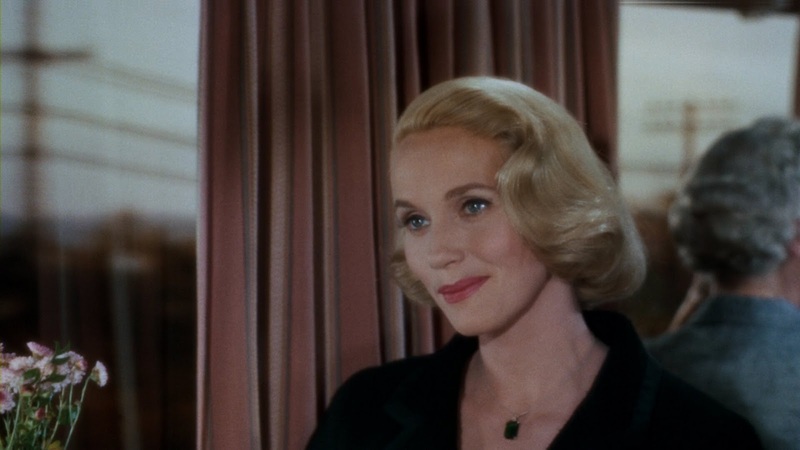 An emotional entanglement with Eve Kendall (Eva Marie Saint), the iciest of blondes, further complicates matters. A multi-faceted plot keeps evolving, as few of the characters are who they appear to be, and most of them take their time to reveal their true identities and motivations. Suave Madison Avenue marketing executive Thornhill is trapped in a small corner of the Great Game, as goons loyal to master spy Phillip Vandamm (James Mason) kidnap him, accuse him of being Kaplan, fill him up with booze and leave him to die in a staged car crash. Thornhill survives and chases after Vandamm, who is pretending to be diplomat Lester Townsend, to the UN building. The real Townsend is soon dead, Thornhill is left holding the murder weapon, and has to run for his life from both the authorities and the shadowy criminals. He takes refuge on a train to Chicago, where the ultra cool Eve appears from nowhere and helps him to escape by stashing him in her cabin. Eve pretends to help Thornhill arrange a meeting with the elusive Kaplan, which, in one of Hitchcock's most inventive moments, turns out to be a trap for Thornhill to be gunned down by a crop duster in the middle of rural nowhere land. Again Thornhill survives, and after another encounter with Vandamm's henchmen at an art auction, he finally connects with spy runner The Professor (Leo G. Carroll) who helps him to piece together the mystery of Kaplan, the role of Eve, and the evil mission of Vandamm. Thornhill now has to decide on his final moves in the complicated spy game that he never asked to play in. Hitchcock keeps tight control of the script by the legendary Ernest Lehman. A complex story reveals it's twists and turns in small but assured steps, and at 136 minutes, Hitchcock provides the necessary time for the characters and the plot to evolve. 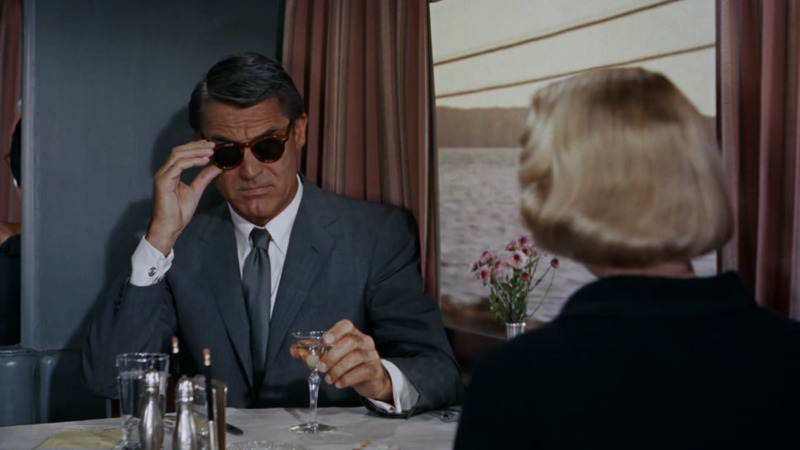 He sprinkles North By Northwest with a series of outstanding moments, with three particular prolonged highlights: the encounter on the train between Roger and Eve; the crop duster duel; and the auction. Each has become an instantly recognizable classic. The train scene is a deliciously unfair seduction chess match: Eve is several moves ahead of Roger, he just does not know it, and watching him believing that he is beguiling her to his benefit is exquisite. The jousting with the crop duster is brilliantly set-up with a long introduction, Roger dropped off by the bus literally in the middle of nowhere, and waiting endlessly for Kaplan to arrive, his sense of anticipation heightened with each passing car. And the auction scene combines danger with humour, Roger having to get himself arrested by playing the fool in distinguished company, while under his nose Vandamm obtains the artifact that is more precious than anyone knows. Cary Grant is perfect in the role of Roger Thornhill, both insulted and intrigued when sucked into a world he knows nothing about, easily susceptible to the trained charms of Eve but resourceful enough to try and save her. Eva Marie Saint won the Best Supporting Actress Academy Award for her contribution to On The Waterfront, but she is perhaps best known for bringing Eve Kendall to life in North By Northwest. She oozes confident sexuality, toys with Thornhill, but gradually cracks under the strain of her increasingly impossible high-stakes assignment. Hitchcock brought many simmering-under-the-surface blondes to life, none better than Eve. North By Northwest is an adventure in spying of the most entertaining kind, created by a master craftsman of thrills, on top of his trade.